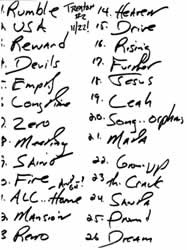 Bruce opens 2 shows during the Devils and Dust tour with 'Rumble'. He plays the instrumental "Rumble" in memory of Link Wray who passed away on November 5th. Final show of the tour and second night in row Bruce plays Rumble in honor of Link Wray. Fred Lincoln "Link" Wray, Jr. (May 2, 1929 – November 5, 2005) was an American rock and roll guitarist, songwriter, and vocalist who became popular in the late 1950s. 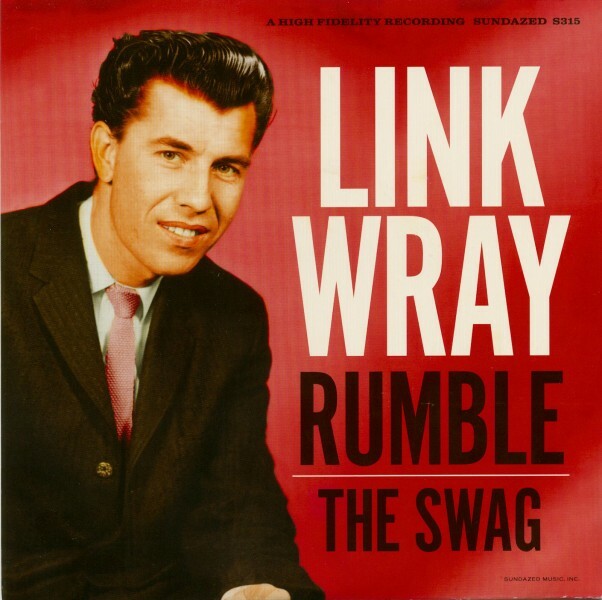 Rumble" Is an instrumental by Link Wray . Released in the United States in April 1958 as a single (with "The Swag" as a B-side). "Rumble" utilized the techniques of distortion and feedback, then largely unexplored in rock and roll. The piece is one of very few instrumental singles banned from the radio airwaves in the United States. It is also one of the first tunes to use the power chord, the "major modus operandi of the modern rock guitarist". At a live gig in Fredericksburg, Virginia, attempting to work up a backing for The Diamonds' "The Stroll," Link Wray & His Ray Men came up with the instrumental "Rumble", which they originally called "Oddball". It was an instant hit with the live audience, which demanded four repeats that night. Eventually the instrumental came to the attention of record producer Archie Bleyer of Cadence Records, who hated it, particularly after Wray poked holes in his amplifier's speakers to make the recording sound more like the live version. But Bleyer's stepdaughter loved it, so he released it despite his misgivings. Phil Everly heard it and suggested the title "Rumble", as it had a rough sound and said it sounded like a street fight. It was banned in several US radio markets because the term "rumble" was a slang term for a gang fight and it was feared that the piece's harsh sound glorified juvenile delinquency. It became a hit in the United States. Bob Dylan once referred to it as "the best instrumental ever". The 1980 Adam and the Ants song "Killer in the Home", from their Kings of the Wild Frontier album, is based on the same refrain that is featured in "Rumble"